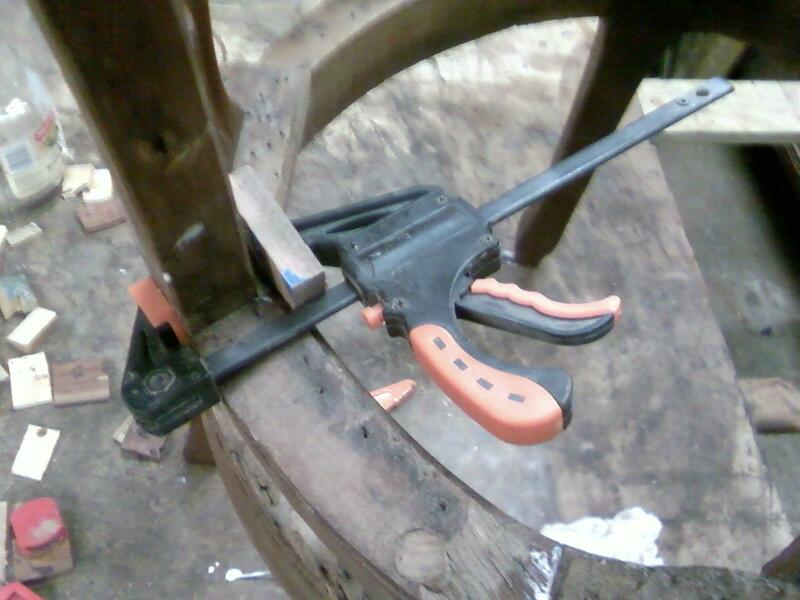 I received a Victorian chair with a cane seat that was in need of repair.In addition to needing to be glued and having the finish restored, the seat frame where the cane attaches was damaged. 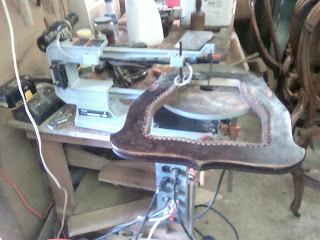 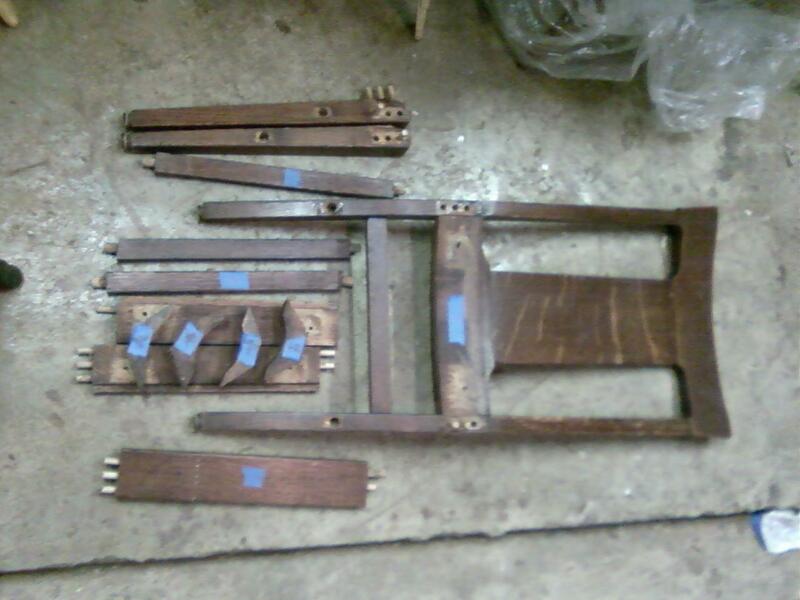 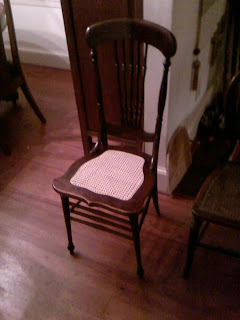 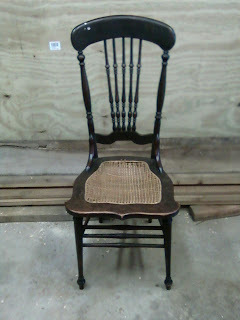 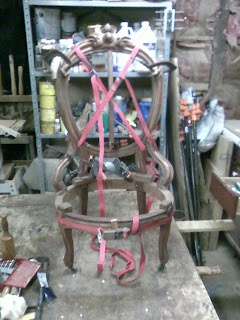 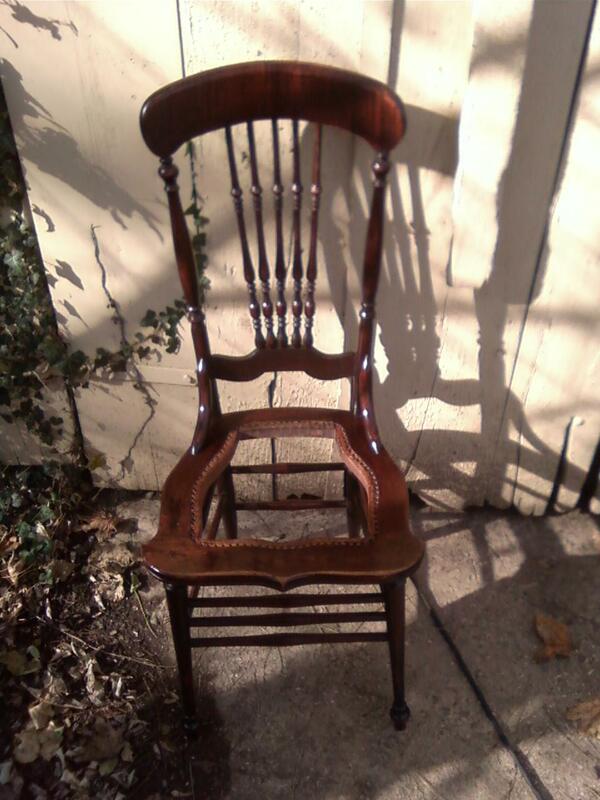 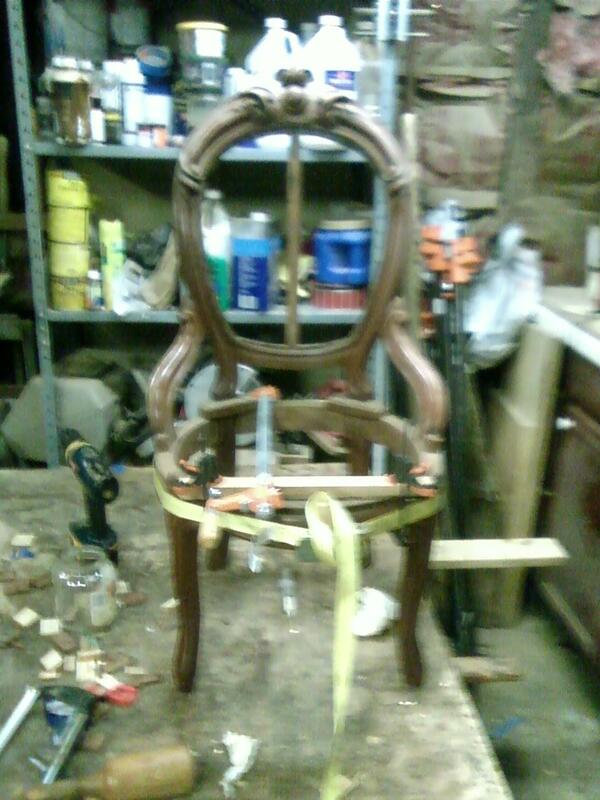 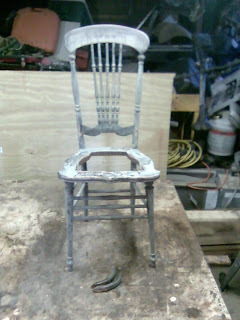 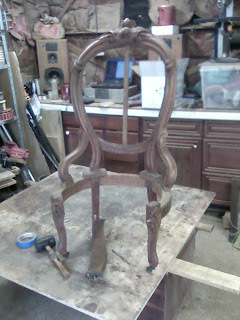 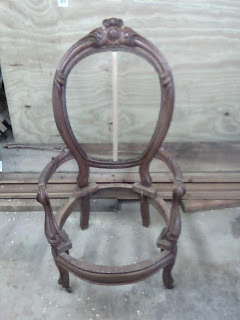 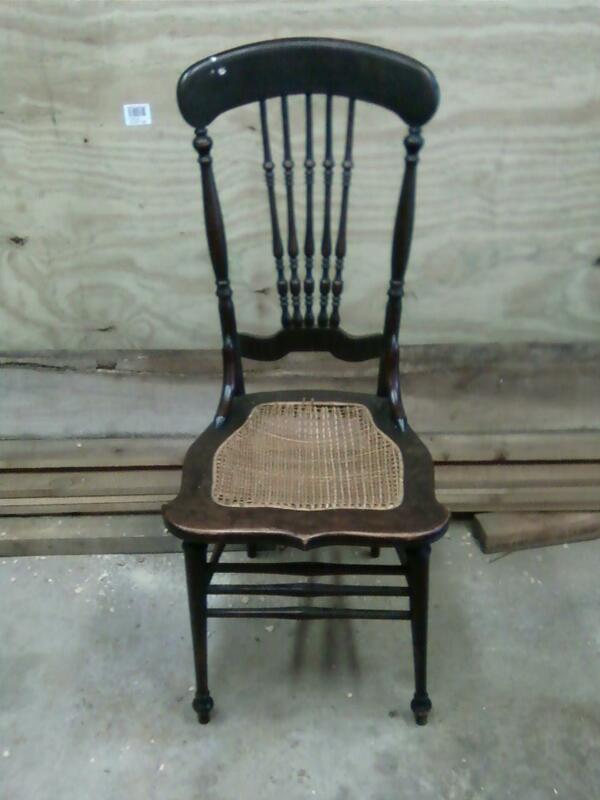 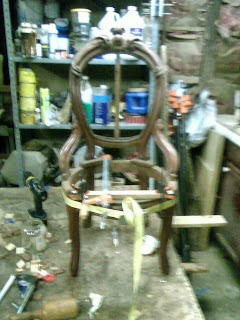 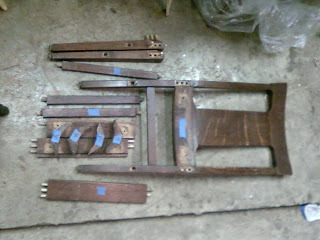 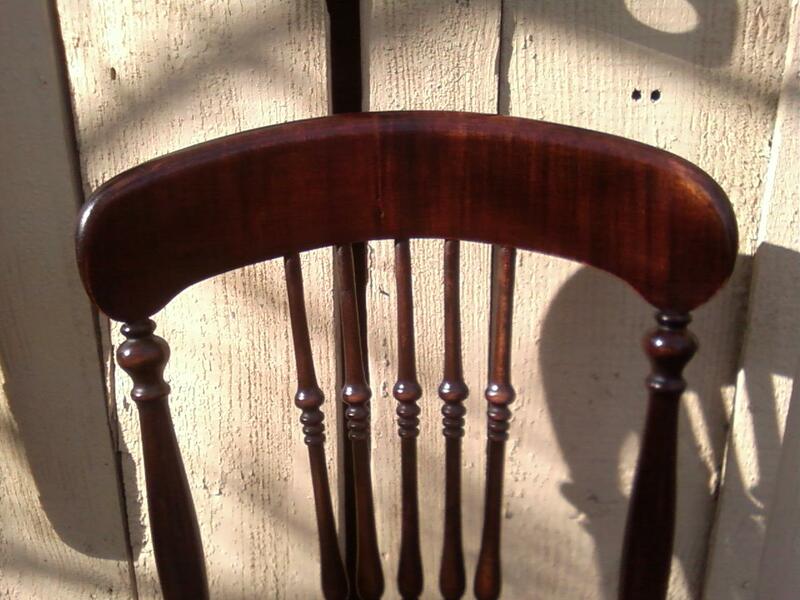 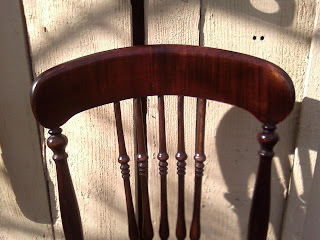 Below are photos of the restoration of this chair. 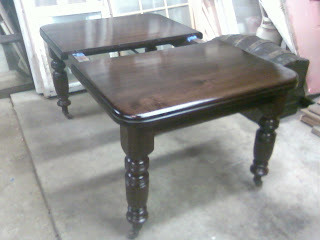 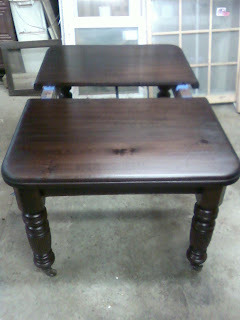 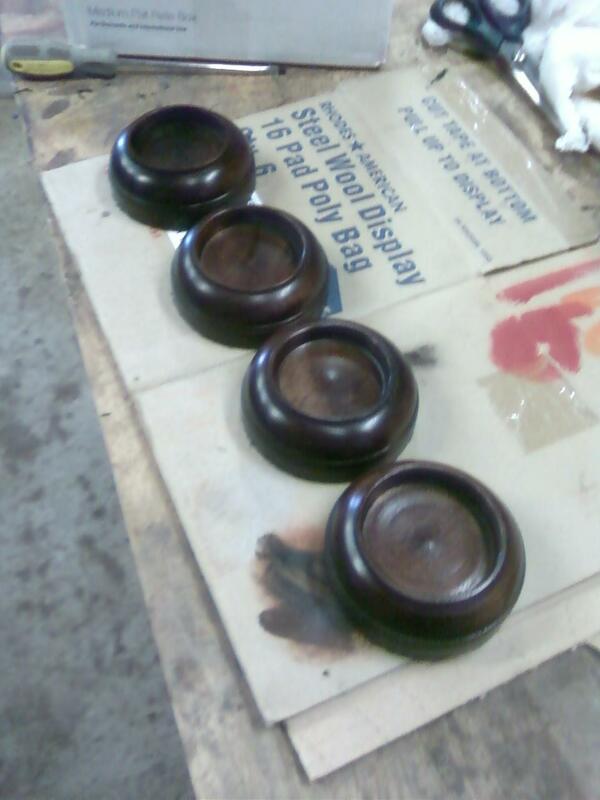 Below are a series of photos showing the refinishing of the Victorian "crank" table. 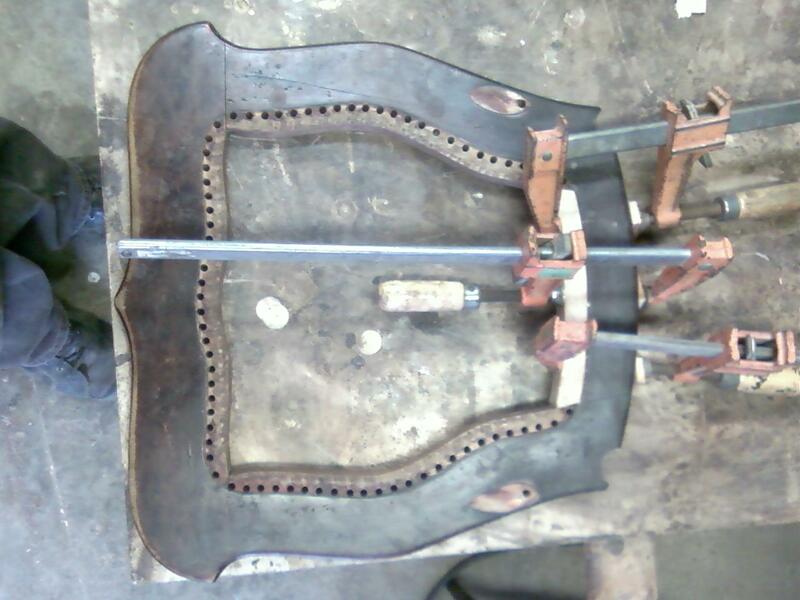 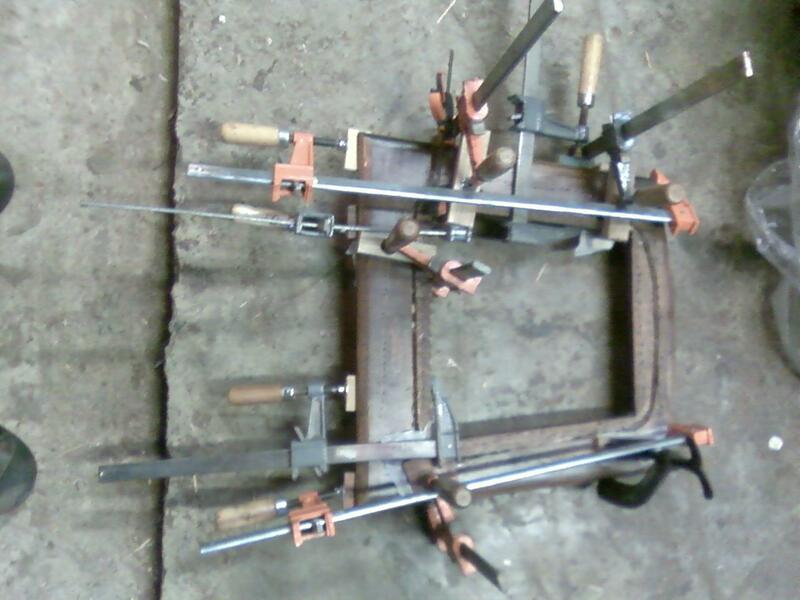 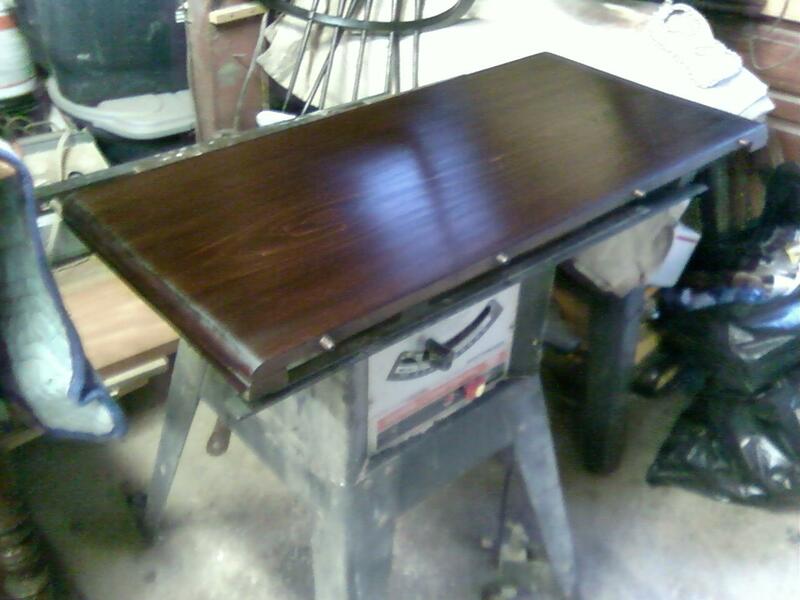 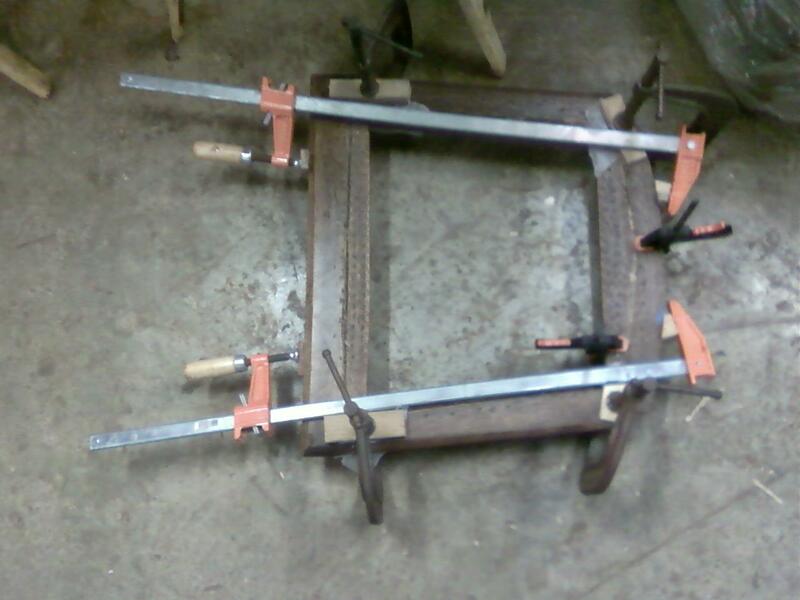 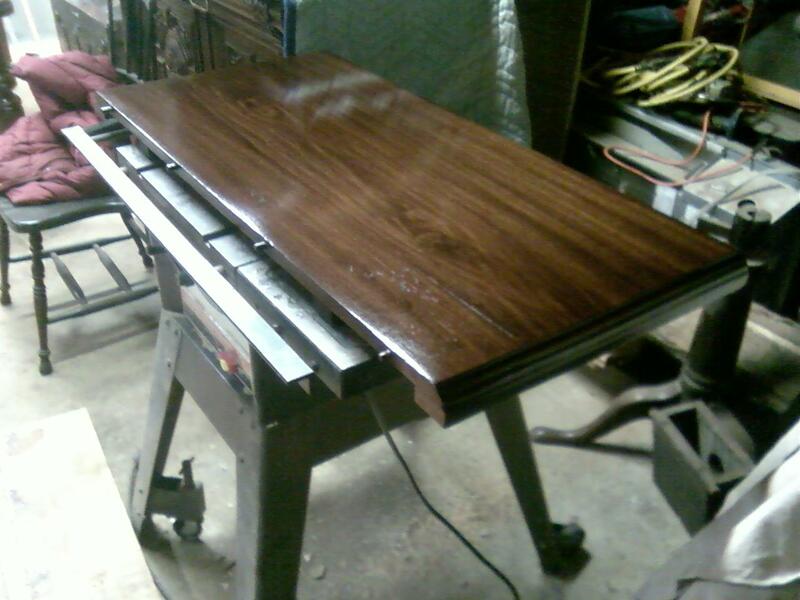 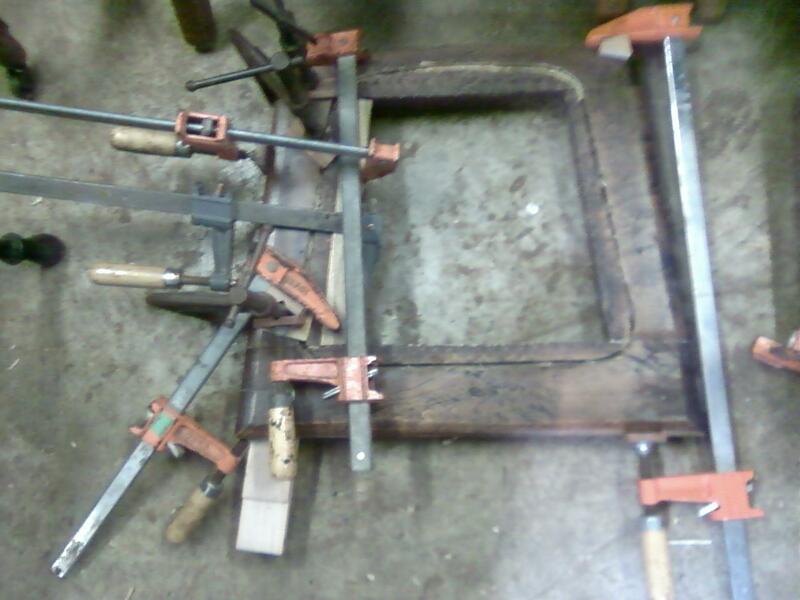 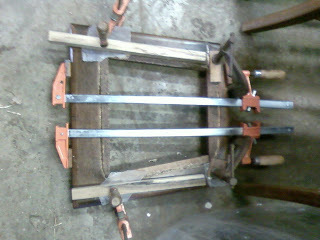 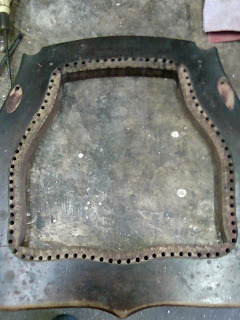 The first photo shows the table completed with the leaf in and the crank handle visible in the apron. 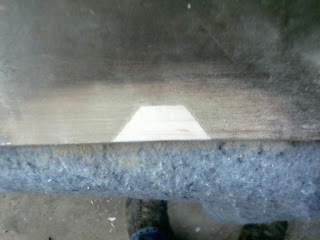 After the finish had been removed the top of the table had to be vigorously sanded with sandpaper ranging from 80 grit to 320 grit. The photo below shows the section on the right sanded, after the sanding is completed the table is stained to bring back the color. 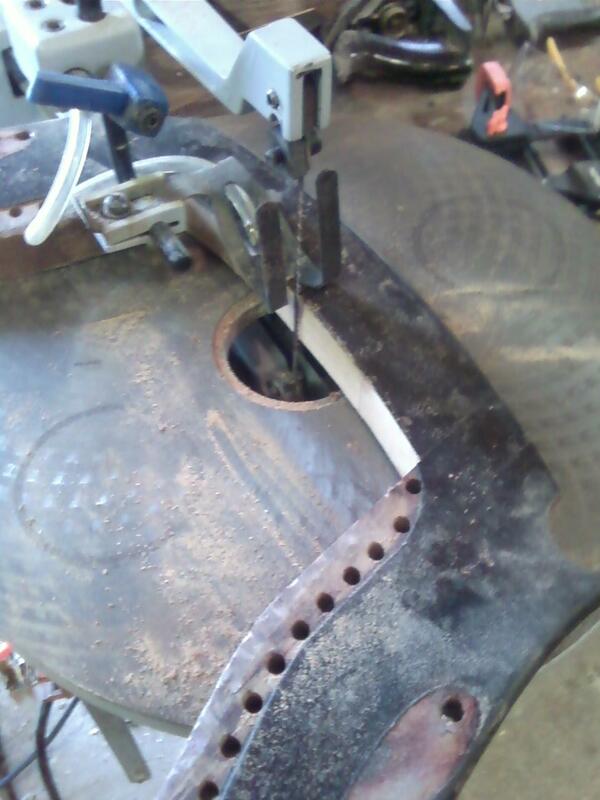 This photo is of a patch on the underside of the leaf. 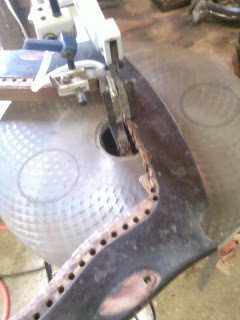 One of the pins had broken through the underside of the leaf, so a patch was necessary. 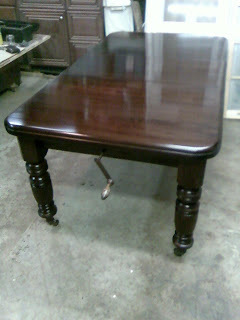 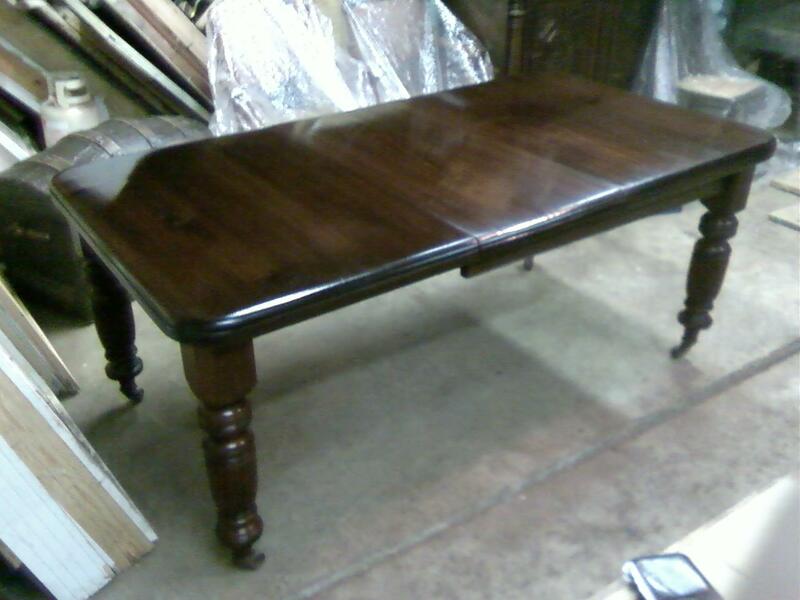 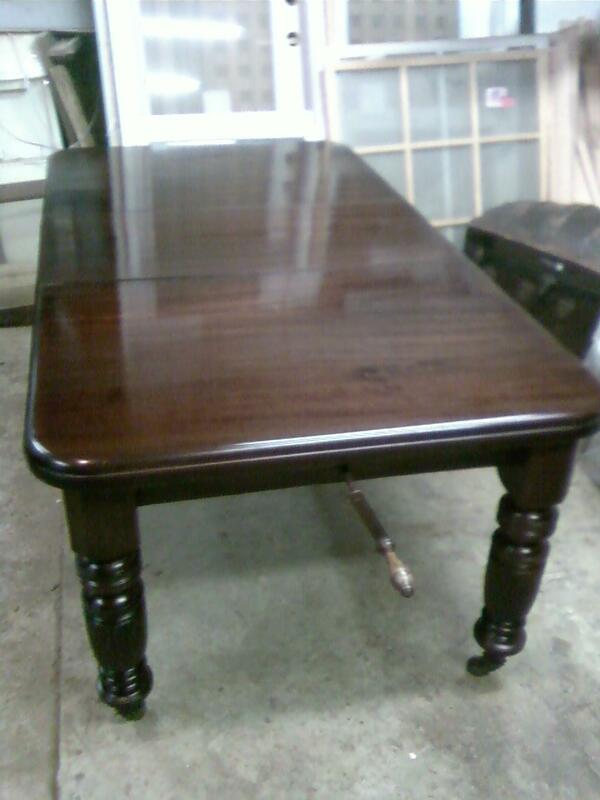 After repairs were made and the table was completely sanded by hand, the table was stained to match the darkest section of the table, in this case the Mahogany legs. 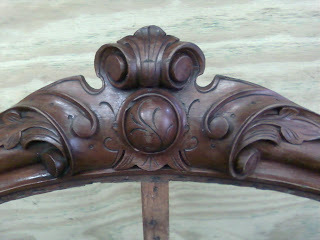 The leaf stained with one coat of finish. 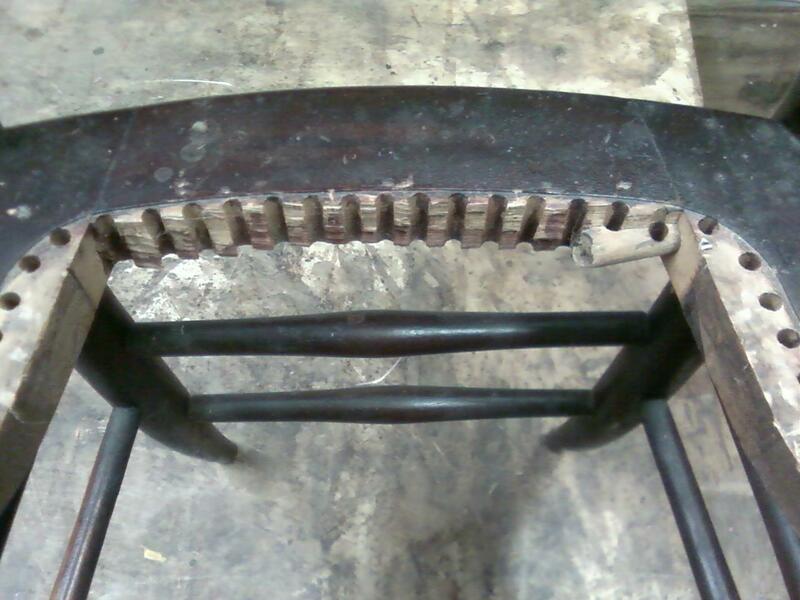 The finish process requires several coats with abrasion using fine steel wool between coats. Each coat give the table a bit more sheen and fills the pores. The leaf and table several coats later in the finishing process. 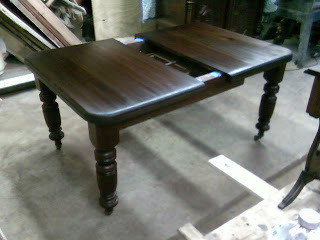 The last few photos are of the table completed. The first photo has the leaf out and the rest show the table with the leaf in place. 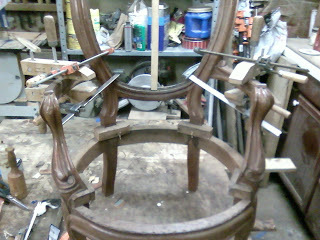 Below are several photos of cups I turned to adjust the height of the Victorian table I have been working on. 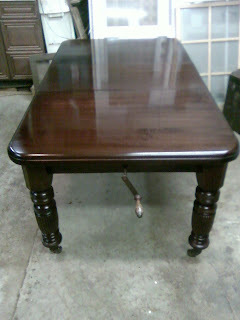 The table has a height of 28.5" which is a little low. 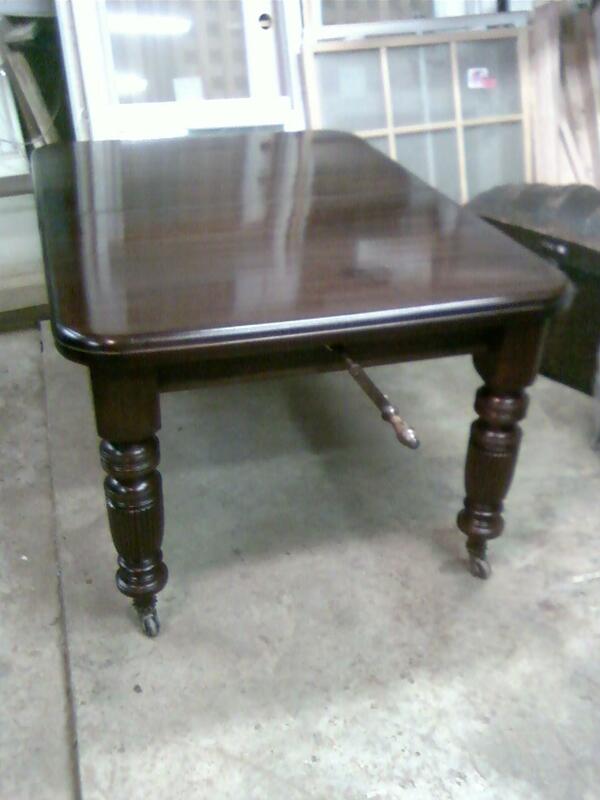 By using the cups underneath of the casters, The table can have a height of 29.5" which not only brings the table to a more comfortable height, but also allows more leg room underneath. 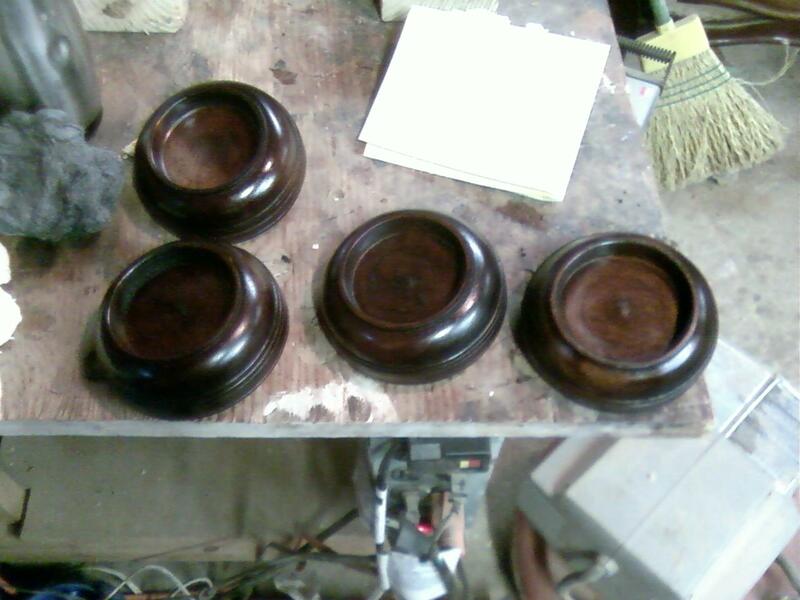 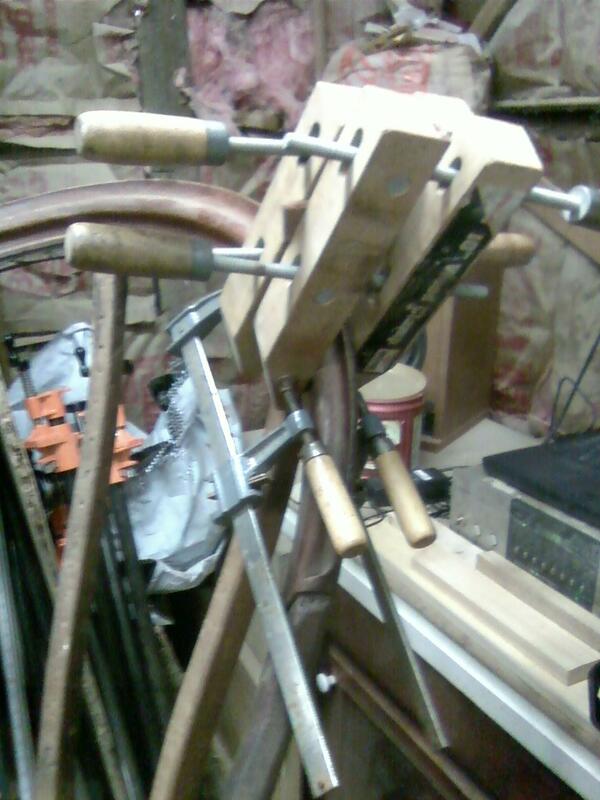 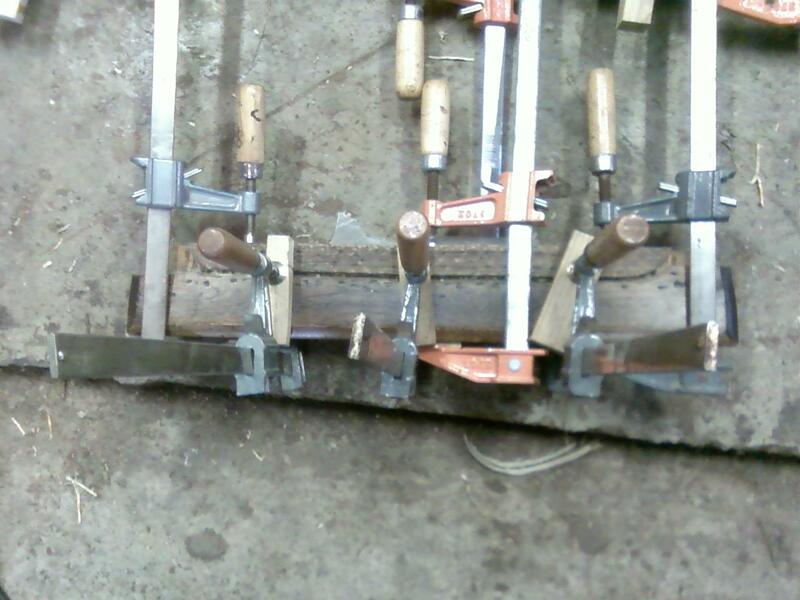 This first photo shows the piece of Honduran Mahogany used for the four turning blanks. It isn't very clear in the photo, but the centers for the blanks are marked and the diameter of the blanks is drawn out. After the blanks were roughed out using a band saw, they are mounted on the lathe individually and turned true. 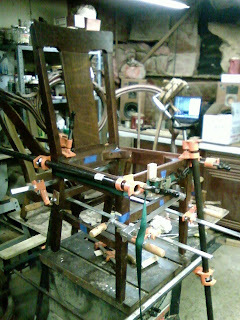 the next two photos show this process. 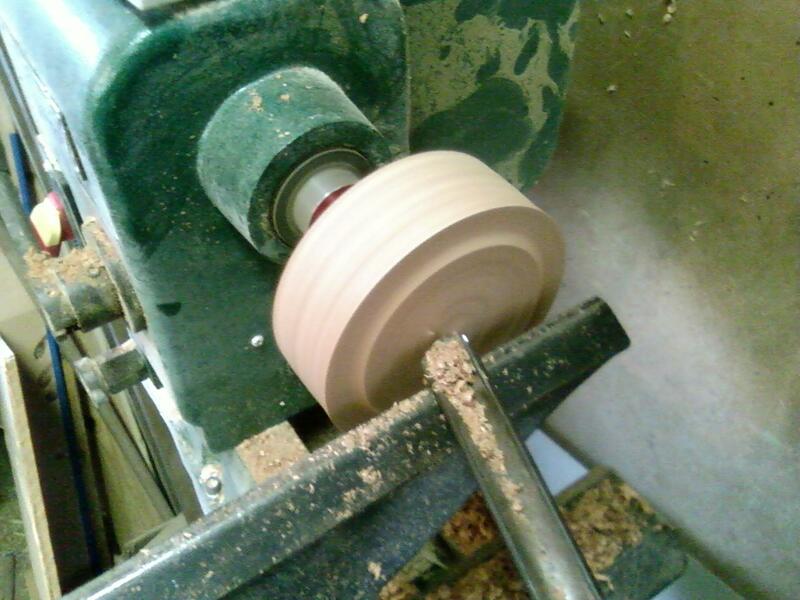 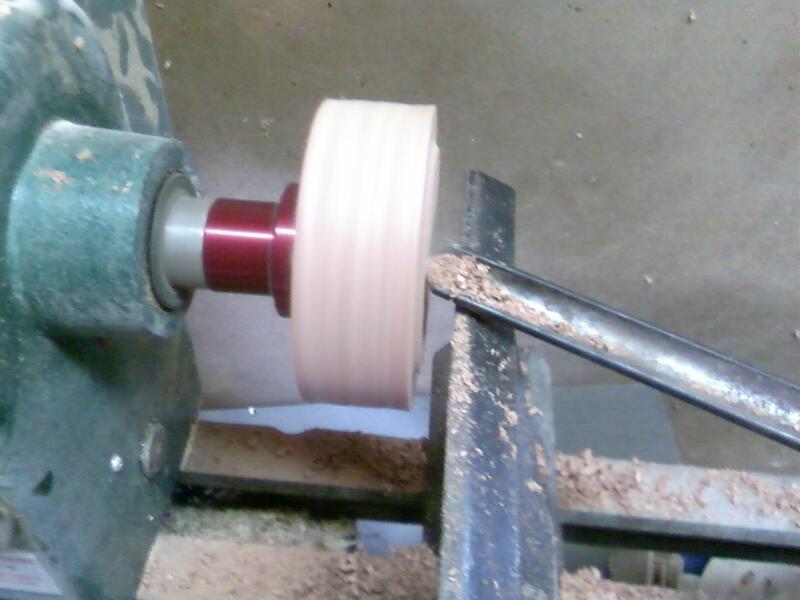 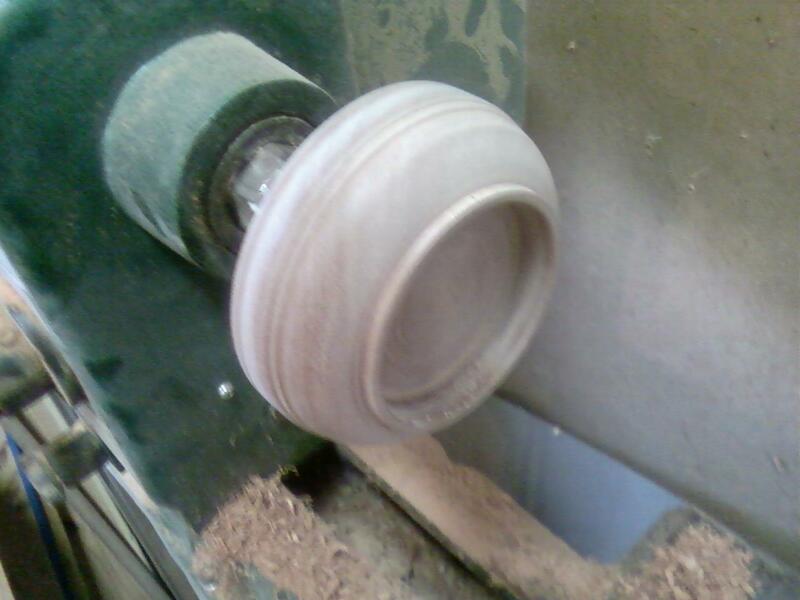 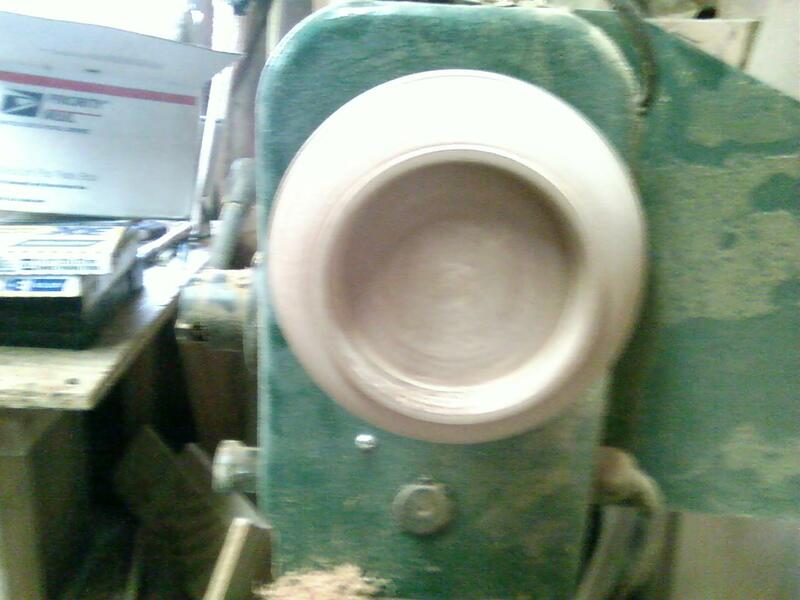 Next the outside of the cup is turned. 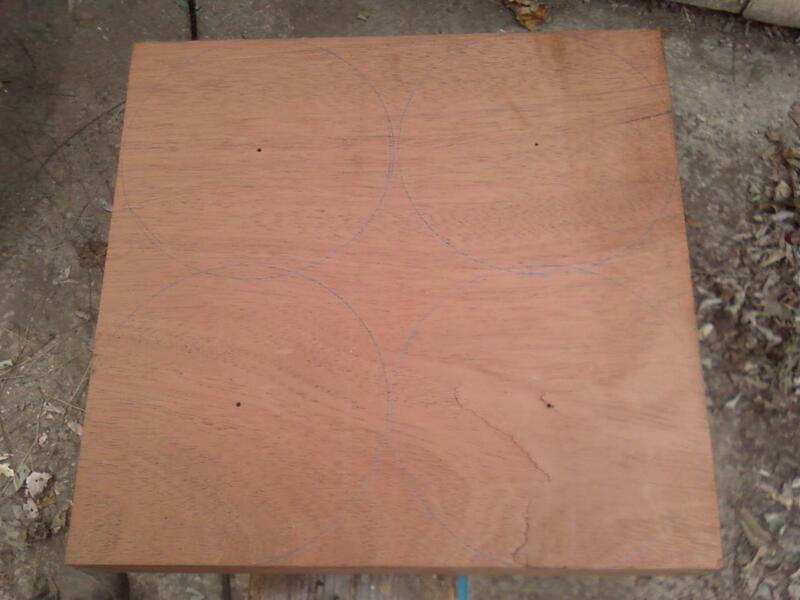 The inspiration for the shape of the cups came from a section of the leg on the table. I measured the shape of the leg and repeated the pattern in the cups. 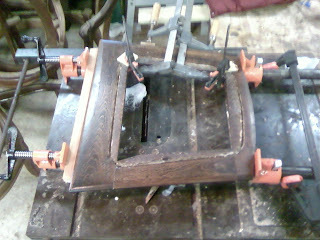 After the outside is turned the interior is hollowed out to the appropriate depth. 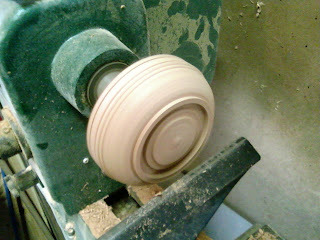 The last step in the turning process is to sand the finished turning. The four cups ready for staining. 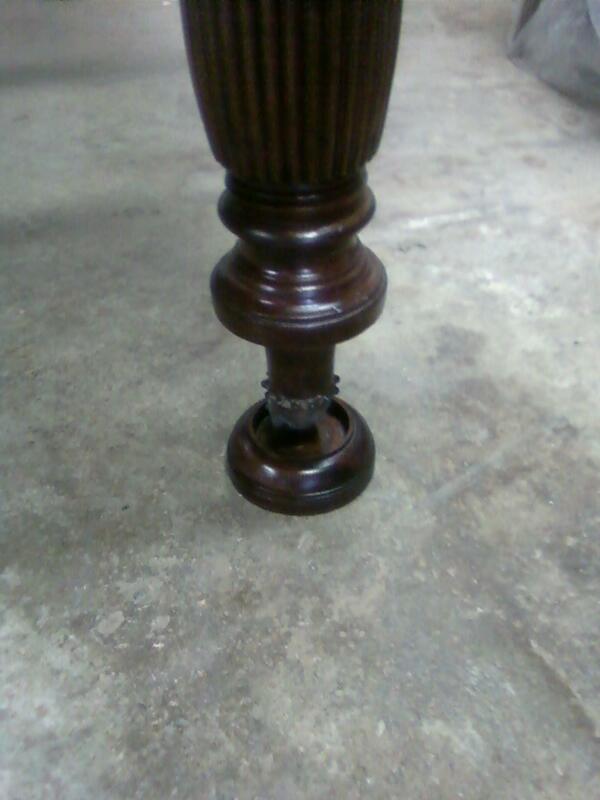 The cups stained to match the color of the legs. 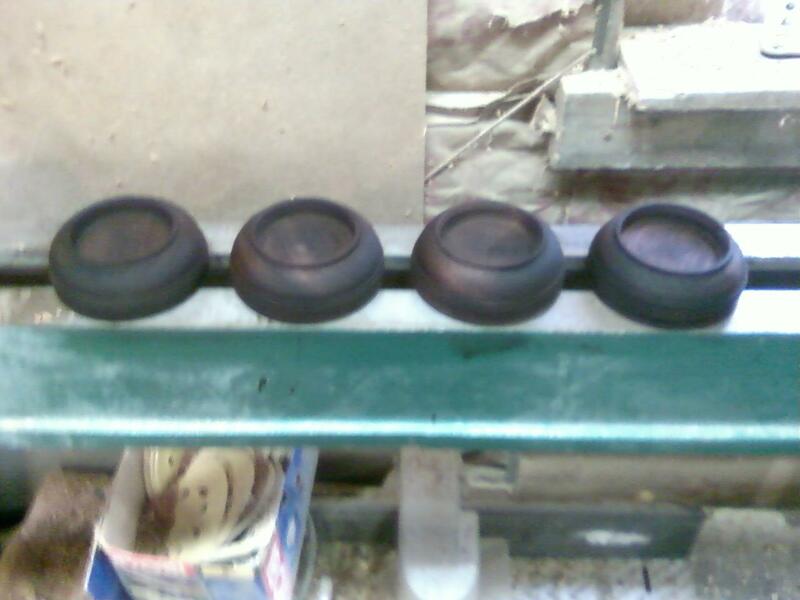 The cups during the finishing process. The cups completed with felt on the bottoms to protect the floor from scratches. One of the cups in use under a table leg. 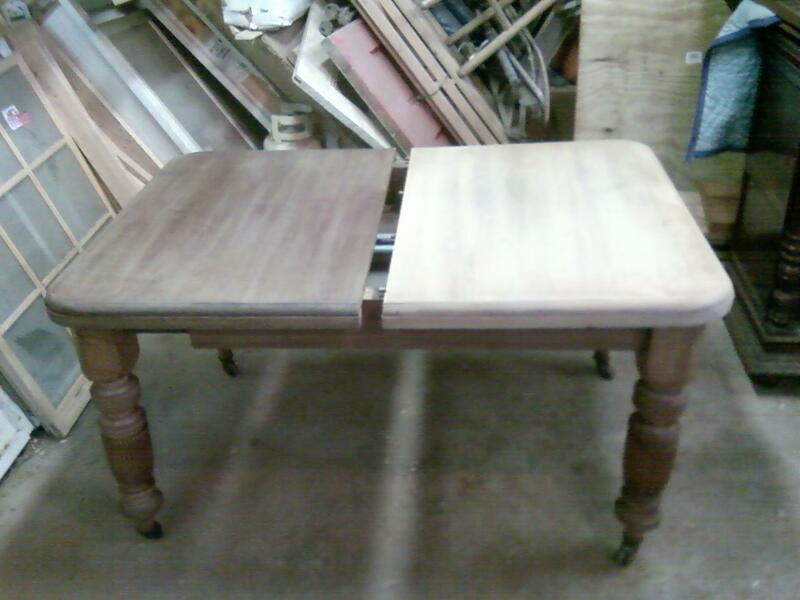 The nice thing about these are that the table has not been altered. 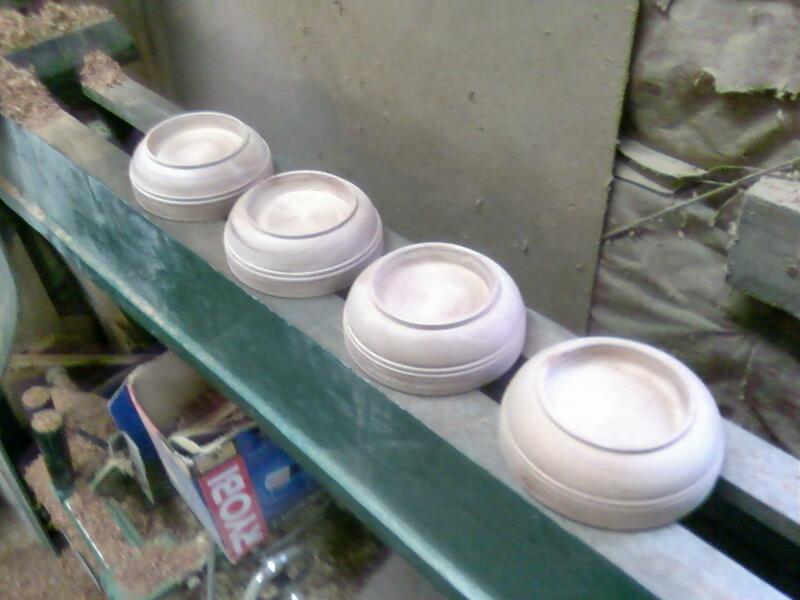 The cups can be used or removed at any time.